Flares and Stacks offers custom designed Preventative Maintenance Programs tailored to your needs and concerns. These programs are design to be all inclusive with the ultimate goal of keeping your equipment in compliance with all state and federal regulations. 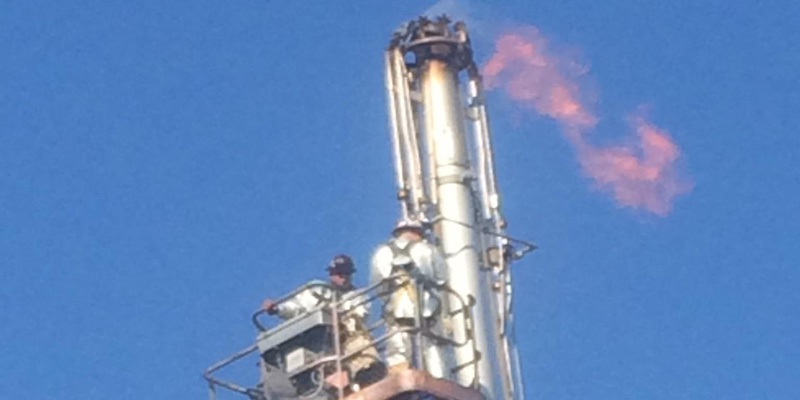 Flares and Stacks offers tip refurbishment bring your flare tip back to or exceeding its new condition. This service is ideal for short turnaround periods taking a fraction of the time and expense that a new replacement tip requires.